Argyll's Rising or Argyll's Rebellion was a 1685 attempt by a group of largely Scottish exiles, led by Archibald Campbell, 9th Earl of Argyll, to overthrow King James II and VII. It took place shortly before and in support of the Monmouth Rebellion, led by James Scott, 1st Duke of Monmouth. Argyll's Rising was intended to tie down Royal forces in Scotland while Monmouth's army marched on London. Both rebellions were backed by Protestants opposed to the kingship of James, a Roman Catholic. Argyll, the chief of Clan Campbell, had hoped to raise several thousand men amongst his followers, while it was expected that many Presbyterians in southern Scotland would join the rebels. Argyll sailed from Holland on 2 May with around 300 men, but on landing in Scotland attracted relatively few volunteers. Hampered by Argyll's inexperience as a commander, disagreements amongst the other leaders, and by an opposing force under the Marquess of Atholl, the rebels began to disperse in mid June after an abortive invasion of Lowland Scotland. Most of their leaders were captured, including Argyll, who was executed on 30 June. Southwestern Scotland had been in a state of unrest since the late 1670s, with the more militant Presbyterian faction, the Covenanters, openly disobeying the authority of Charles II, who attempted to impose episcopacy on the country. The resulting disorder, known by Covenanters as "The Killing Time", resulted in many extrajudicial executions as Royal troops tried to enforce the King's authority. In the interim a group of Protestant exiles opposed to the Stuart regime had gathered in Holland. These included Whigs involved in the Rye House Plot, supporters of Monmouth, and republican radicals. One of the most prominent figures amongst this disparate group was the Earl of Argyll, once a staunch Royalist but who had fled Scotland in 1681 after being condemned on a dubious treason charge. Others included the moderate Whig George Melville, Lord Melville, Covenanter supporter Sir Patrick Hume, Sir John Cochrane of Ochiltree, and the former Cromwellian soldier Richard Rumbold, who had been a prime mover behind the Rye House plot. Argyll had also been implicated in the Plot when coded letters from him to key conspirators were discovered. Archibald Campbell, 9th Earl of Argyll. Argyll first began planning an insurrection in Scotland in early 1684. Using money subscribed amongst the exiles, he ordered 400 sets of armour (breastplates, backplates and steel caps) from an Amsterdam armoury along with other equipment for mounted and foot soldiers, concealing them as a purchase for the Venetian Republic. The main financial contributors to the plan were later identified as a Mrs Ann Smith who had previously supported Argyll, Sir Patience Ward, William Rumbold and, it was alleged, John Locke. The Government in Scotland already seem to have been aware of Argyll's plans, as they took the precaution of appointing the Marquess of Atholl as Lord Lieutenant of Argyllshire and ordering him to march there with a strong force, occupying the one area where Argyll could count on significant personal support. The preparations became more urgent following the death of Charles II in February 1685, and the accession of his Roman Catholic brother James, as the exiles (both those associated with Monmouth and those associated with Argyll) saw an opportunity to strike a blow for Protestantism and against the royal absolutism James was known to favour. Argyll encouraged the two parties to cooperate and worked to convince Monmouth of the feasibility of a joint plan. Argyll talked of being able to count on at least 3000 to 5000 men from among his former tenants, and all expected that the Presbyterians of south-western Scotland would join any rebellion. In early March 1685, Monmouth came to Amsterdam to speak with Hume, Melville, and others. They were joined shortly afterwards by Argyll, who was reportedly so anxious to commence the rising that he agreed to serve under Monmouth in Scotland, if the latter would provide weapons and ammunition. They eventually agreed that Monmouth would take responsibility for England, the south of Ireland, and foreign relations, while Argyll would deal with Scotland and northern Ireland. Argyll revealed that he had secured £10,000 in financial support, was purchasing three ships and could be ready to sail in as little as two weeks, though he agreed to postpone in order to coordinate with Monmouth's planned invasion of England. A further meeting of Argyll's associates was held on April 17, chaired by Sir John Cochrane. Argyll and his son Charles were also present. Although it was voted to choose Argyll as their "general", the conspirators agreed (contrary to Argyll's wishes) that all major decisions should be discussed and approved by their committee, something that was to hamper the Rising in future. In order to better coordinate the two risings, one of the leading Scottish exiles, Andrew Fletcher of Saltoun, was to accompany Monmouth to England, while two of the more prominent English plotters, Rumbold and John Ayloffe, agreed to accompany Argyll. Sir Patrick Hume, a key member of the rebels' Council. His disagreements with Argyll hampered the progress of the rebellion. After an initial few days in the Zuider Zee, Argyll's forces eventually set sail from near Amsterdam at about 7 o'clock in the evening on 2 May. The wind changed to a favourable one shortly before departure, and the exiles felt confident of success. The three boats, Anna, David and Sophia, carried around 300 men and a stock of modern weapons sufficient to arm up to 20,000. The vessels arrived off the entrance to the Moray Firth early on the morning of 5 May, and as the breeze had then reached gale force there was a suggestion that they should shelter in the Firth itself. However, it was eventually decided to continue north of the Orkneys to reach the western coast. The first of several misfortunes to befall the expedition came when the wind died away, a sea fog descended, and the vessels missed the passage between Orkney and Shetland, finding themselves in thick fog in Scapa Flow. They anchored in Swanbister Bay on Orkney's south coast and Argyll's chamberlain William Spence, who had an uncle living in Kirkwall, got permission from Argyll to go ashore to try and obtain a pilot. Disaster struck when Spence and his companion Dr. Blackader were arrested in Kirkwall by order of the Bishop and Magistrates: word was immediately sent to the Privy Council. There was a heated argument on the Anna among the expedition's leaders, particularly as Argyll had allowed Spence to leave without consulting anyone else. Hume proposed that an armed party should land at Kirkwall, sheltered by the boats' guns, and rescue their colleagues, whereas Argyll and Cochrane argued that reprisals should simply be made. A majority supported the latter plan, and so a longboat with 50 men landed and took 7 local gentry prisoner. Argyll wrote to the Bishop of Orkney proposing a prisoner exchange, but received no response by the following day, so the rebels sailed on to the west coast, hindered first by a calm and then by contrary winds. By tacking, they eventually reached the Sound of Mull by the evening of 11 May. On arrival off Mull, Argyll's son Charles was sent ashore to Lorne carrying letters from Argyll to local landowners. Charles took the castle of Dunstaffnage and sent the "fiery cross" into the surrounding district, but (in what would come to be a repeated pattern) attracted disappointingly few recruits. In the interim, the main invasion force sailed southwards to Islay, where Argyll expected to attract more support, arriving on May 15. Around 450 pro-Government Highlanders under Atholl had been stationed in Islay to hinder the rebellion, so Argyll decided to land the majority of his troops by night and surprise the enemy; they disembarked at one o'clock in the morning of the 17th. The rising began in earnest in Islay. Atholl's men had fled into the Kintyre peninsula some three hours before Argyll arrived, so the rebels arrived at Killarrow unopposed. Although the well-equipped rebel soldiers made a great impression, only 80 recruits were attracted rather than the 600 or so Argyll had been hoping for, albeit the new volunteers were said to be "lusty, tall and handsome men". On May 20 the fleet crossed over to Kintyre and landed at Campbeltown, where Argyll's regional influence was centred and where the high number of zealous Covenanters among the population, many of them Lowlanders planted by Argyll's father, were expected to provide strong support. James Stewart of Goodtrees, who drew up the rebels' Declaration. A "windy, wordy" document, its lack of reference to maintenance of the National Covenant and to a positive programme of government limited its appeal to those it was aimed at. The leaders read Argyll's formal Declaration at the Market Cross. Drawn up by Whig advocate James Stewart of Goodtrees, it gave a long and detailed account of "misgovernment" under Charles II and of the dangers posed by James, but critically did not set out any detailed alternative programme, which blunted its effect. While it appeared to advocate deposing James, it did not mention whether Monmouth or a Republic would succeed him, a wording likely used at the insistence of the republicans among the rebel council. Even more significantly, it made no mention of maintenance of the National Covenant - the 1638 document in which the Scots agreed to uphold Presbyterianism against 'innovations' - which meant that the Cameronians actively condemned it and other radical Covenanters refused to have anything to do with it. The date of 22 May was set for the mustering of Argyll's forces in Kintyre. Around three understrength companies of recruits had followed from Islay, while a number of Kintyre Lowlanders came forward to volunteer, forming probably the best and most committed soldiers to join the rebellion. They were formed into companies, issued with Dutch weapons, and given colours written with the mottoes "For the Protestant Religion" and "Against Popery, Prelacy and Erastianism". While Argyll preferred to let the Highlanders serve under officers from their own clans, Rumbold and Ayloffe were both given colonelcies of regiments, of horse and foot respectively, formed from recruits enlisted in Campbeltown. Differences as to strategy now began to emerge amongst the members of the rebel Council. Their original plan had involved a quick descent on the Lowlands to mobilise Presbyterian support before Government opposition was fully organised. Argyll was, however, determined to build up a strong force in the Highlands before taking matters anywhere else. The return of an emissary from the Presbyterian heartland of Ayrshire, George Barclay, with the news that Monmouth had already landed (completely inaccurate) and that hundreds of potential recruits in Ayrshire had offered themselves for the rebellion (probably accurate) encouraged Hume and others to become frustrated with Argyll's focus on Kintyre, particularly as some of the levies from Islay were already beginning to desert. Argyll instead proposed that both the ships and land forces should proceed to Tarbert, and there link up with another force under his son Charles. As it did not involve a significant delay, this plan was agreed, and on May 27 the rebel force arrived at Tarbert. It was met by a further 1200 men, mainly Campbell clan levies under Argyll's son and Sir Duncan Campbell of Auchinbreck, bringing the total number of insurgents to around 2500. Here Argyll organised his rebel infantry into three regiments, with Ayloffe, Campbell of Auchinbreck and Robert Elphinstone of Lapness as colonels; an Englishman Mr Griffiths, Alexander Campbell and Donald Campbell, laird of Barbreck, as lieutenant-colonels; and James Henderson, John Fullarton, and John Campbell as majors. With the core of an army in place, Argyll initially decided to march on Inveraray, but under pressure from the Council decided instead to divide his forces, sending the Highlanders north to Argyllshire to deal with Atholl's men, and a smaller force to the Lowlands by sea in order to begin recruiting there. The day after this plan was agreed, he again abandoned it. The frustrations amongst the Council grew, with an enraged Cochrane - usually one of Argyll's closest supporters - declaring that he would land on the Ayrshire coast "even if he were alone and had nothing but a hayfork in his hand". In retrospect, Argyll's indecision can be explained by the fact that he had no firm news of Monmouth's landing, and that his ability to recruit in his stronghold of Argyllshire had been crippled by the fact of Atholl's forces occupying it. Moreover, he was aware that his own Highlanders would be unwilling to fight in the Lowlands while Atholl's men threatened their homes. This made his caution and focus on reconquering Argyllshire seem more explicable. At the time, however, it caused a critical breakdown in trust amongst the Council leading the rebellion; Argyll's colleagues were later to complain of his "peremptory" style, while he accused them of undermining him and even of deliberately fostering mutiny. Argyll's insistence on focusing on his own estates also had the effect of personalising the rebellion: as Argyll, unlike Monmouth, was not a widely liked individual, this probably served to discourage people from joining it. Lastly, Monmouth had promised to set sail early in May, a few days after Argyll, but in the event did not land in England until 11 June, wrecking a key part of Argyll's original plan. Although serious issues began to develop between Argyll and his Lowland colleagues, he paradoxically seems to have built up a strong relationship with the Englishmen Rumbold and Ayloffe, despite the substantial political and religious differences between them. Rothesay Castle on Bute. It was burned by Argyll's forces when they left for the mainland. Running short of supplies, the rebels now crossed to Bute, where they expected to obtain food and further volunteers; due to the lack of sufficient boats the crossing wasted another three days. Once in Bute, the Highlanders, however, terrorised the inhabitants, plundering houses and stealing cattle. Cochrane and Hume, with about 60 men, had in the meantime crossed to Great Cumbrae, where they requisitioned boats to assist the army's transport, but on their departure a group of Government soldiers crossed from Largs and staved the boats in. The rebels were now aware of Government forces on both sides of them, and Hume again approached Argyll about a decisive move to the Lowlands. This resulted only in a violent argument between the two. Argyll again became determined to drive out Atholl's men from the area, and transported his own forces from Rothesay to the shore of Argyllshire. In the interim Cochrane with 200 men had made an attempt to land in Renfrewshire, and had gone as far as Greenock, routing a small troop of militia, but had again found a very discouraging response to his call to defend "religion and liberty". Argyll decided to use the old castle of Eilean Dearg, on an island in Loch Riddon, as a supply base from which to deal with Atholl. While some of his followers were still agitating for an attempt on the Lowlands, Cochrane was now inclined to agree with him after his experience at Greenock, stating that the Lowlands were everywhere guarded by militia. The rebels hoped that the narrow approaches to Eilean Dearg would discourage attack by sea, and began constructing an earthen fort to improve the defences. In the meantime, the Government frigates Kingfisher, Falcon and Mermaid along with several smaller boats cut off the rebels' position from the sea, although they could still operate northwards on land. With the fort completed and ships unloaded, Argyll sent Rumbold and his cavalry, along with 300 infantry under Major Henderson, to hold Glendaruel, which ran into Loch Riddon from the north. Rumbold pushed on and seized Ardkinglas Castle on the shore of Loch Fyne. Although this was close to Inveraray, the traditional centre of Argyll's influence, Rumbold's advance was stopped by around 500 of Atholl's men. While the rebels acquitted themselves well in a few skirmishes, Atholl's force hung back in an attempt to delay them further. Argyll, seeing an opportunity to seize control of Argyllshire, was determined to throw his entire force into battle in order to force the issue, but other members of the rebel Council disagreed. The rebels were again paralysed by the indecision of their leaders, and depleted by continual desertions amongst the Highlanders. A variety of plans were suggested, but it was eventually decided to begin a march to the Lowlands, leaving a garrison at Eilean Dearg under Elphinstone of Lapness, beginning on 11 June - the same day that Monmouth finally landed in Dorset. By this point Argyll was extremely discouraged, but Hume and Cochrane made attempts to cheer him, reiterating the need for a quick move to the Lowlands, where further support was expected. Near Loch Long, however, they were overtaken by the garrison of Eilean Dearg, who had fled after Government frigates got close up to the castle. They had abandoned 5000 weapons, 300 barrels of gunpowder, their standard, and the hostages from Orkney. This new disaster had a serious effect on the rebels' morale. Running low on supplies, the rebels now marched to the head of the Gare Loch, intending to make for Glasgow. Atholl was in pursuit, and the Earl of Dumbarton was stationed near Glasgow in readiness with a force of militia and regulars. Argyll's plan was to evade these forces and reach Glasgow itself, a city thought to be sympathetic to the Whig cause and which was guarded by only a single militia regiment. To this end he was still in favour of a single pitched battle with the enemy, but yet again Hume disagreed, suggesting that the depleted force should be divided: the Highlanders should return to Argyllshire, where they would fight most effectively, via Glen Croe, while the Lowlanders and volunteers from Holland should travel down Loch Long and the Gare Loch in two groups, to find support in the Lowlands. Unknown to the rebels, a large number of armed Presbyterian men were at the time gathering in Wigtownshire with the intention of giving Argyll assistance. However, the preacher Alexander Peden made an attempt to discourage them, claiming that Argyll would be "broke" before they could reach him and reminding them that Argyll and Monmouth had been persecutors of Covenanters in the recent past. On 16 June the rebels crossed the Leven near Dumbarton. Early on the 17th, they noted a large group of militia nearby, and for an hour or so stood drawn up in line of battle, being confident of success against low-quality troops. As Argyll had received some information that suggested they avoid the main Glasgow road, the rebels marched northwards, reaching the road between Dumbarton and Stirling, and again spotted a group of Government forces marching without protective artillery cover. Argyll, Cochrane and Ayloffe were in favour of an immediate surprise attack on their opponents, hoping a victory would rally the district to their support. Hume, however, argued against it, pointing out that their men - of whom only 900 or so remained thanks to desertions - were now exhausted, and advocated continuing to Glasgow. In the event, a disastrous night march on the night of the 17th resulted in the dispersal of many of the remaining forces, despite Rumbold and Argyll's efforts to keep order. Rumbold and others became separated from the main group of insurgents. The Clyde at Old Kilpatrick, where Cochrane and a group of rebels forced a crossing on 17-18 June. Argyll and Cochrane had a final conference at an inn in the village of Old Kilpatrick. Argyll was apparently agitated and "scarcely able to speak". He asked Cochrane's advice as to whether he should escape to Argyllshire or go over the River Clyde with the others, and Cochrane suggested that he would be better returning to the Highlands with his remaining clansmen. They parted at this point, although it is notable that Argyll's own account of events (subsequently used by Wodrow and Macaulay in their own histories) stated that his Lowland colleagues had stolen several boats and abandoned his party. Most of the remaining Highlanders at this point deserted, depleting the rebel force still further. Argyll took a small group of close associates and set off north, but after a few miles the group broke up. Sir Duncan Campbell of Auchinbreck tried to continue to Argyllshire to raise further men. Argyll himself, however, turned south again, possibly trying to reach the Presbyterian strongholds of Ayrshire or Galloway. Accompanied only by Major Fullarton, he disguised himself as a countryman acting as Fullarton's guide: he obtained a farmer's clothing and had already grown a long beard during his previous exile. However, the two men were accosted by militia while trying to ford a river near Inchinnan, and Argyll was taken prisoner. The hillside leading up to Muirdykes Mount, where a group of rebels were attacked by dragoons. In the meantime, part of the remaining rebel force had one of their few military successes. About 150 men under Cochrane's command, accompanied by Hume and Major James Henderson, had forced a crossing of the Clyde near Old Kilpatrick. 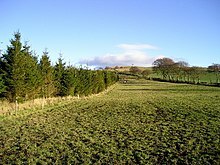 After driving off a group of militia, and some further desertions, a remaining group of 75 reached a place called the Muirdykes, or Muirdykes Mount, near Lochwinnoch, on the afternoon of 18 June. Here they drew up in a small close protected by low stone walls, and were attacked by a troop of William, Lord Ross's dragoons. Led by Cochrane - who was a relative of Ross, and rejected the latter's offer of quarter - the rebels successfully defended their position against repeated "furious" assaults until nightfall, the regulars taking several casualties including their commander Captain William Cleland, who was killed. Ross himself was wounded and nearly unhorsed; the rebels lost one man, a Campbell. On moving off under cover of darkness the rebels discovered that the dragoons had fled towards Kilmarnock. Hume later wrote "wer I to choose 75 men upon my life’s hazard; I would not reject one of that 75 (and no more ther was) that came of that night". On 20 June Cochrane received word that Argyll had been taken prisoner, and released the remaining rebels from service, telling them to escape as best they could. Cochrane was captured a week later in his uncle's house in Renfrew, though Hume managed to evade capture. Ayloffe was also taken prisoner, unsuccessfully attempting suicide shortly afterwards. Rumbold was taken, fighting hard, near Lesmahagow. On being called to surrender he was supposed to have said that he "came there to fight for death, not for life", killed one assailant and wounded two, and was only captured when his horse was shot from under him: he was brought to Edinburgh seriously wounded. The Government had defeated Argyll's rebellion with much more ease than it had expected, and turned its attention to defeating Monmouth. In the meantime, many of the captured ringleaders were executed. 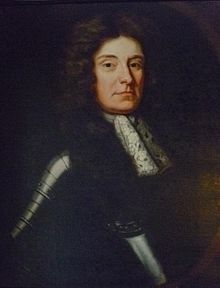 Fountainhall commented on the Rising's end and the "sillinesse" of the capture of Argyll, saying that "every one reputed Argile valiant and witty, and Sir John Cochrane neither, and yet Argile sneaks away from the hazard, and Sir John fights stoutly like a man; only, the greatest coward when straitned [...] will fight desperately eneugh". Argyll was in a curious position of being legally 'dead' since his 1681 trial and was therefore, technically, incapable of committing further offences. He was therefore hurriedly beheaded on 30 June under the dubious 1681 treason charge, despite the acts committed in the interim. After the stresses of the campaign most observers commented on his exceptional calmness and good humour while awaiting execution, and he spent a great deal of time petitioning that the poor clansmen who had followed him should not suffer for their involvement. The injured Rumbold was condemned, as a traitor, to be hanged, cut down, have his heart cut out and exhibited, then to be beheaded and quartered. The sentence was carried out on 26 June. Rumbold conducted himself with great bravery, and his speech on the scaffold - in which he stated that "were every hair in this head and beard of mine a life, I should joyfully sacrifice them" - was widely printed and quoted afterwards. Argyll, who sharply criticised Hume and Cochrane in his final letters, himself wrote that "Poor Rumbold was a great support to me and a brave man and died Christianly." Some time later Mark Kerr, the baillie at Lesmahagow who had captured Rumbold, was accosted on his doorstep by two men claiming to be Rumbold's "sons": they took the sword that Kerr had taken from Rumbold, ran Kerr through, and cut out his heart. The locals made little or no effort to find the perpetrators, which was widely taken as a sign of sympathy with the rebels' aims. Carnasserie Castle, the property of Sir Duncan Campell of Auchinbreck, was amongst those destroyed as a result of the Rising. Ayloffe was executed on October 30 at the Inner Temple along with Richard Nelthorpe, a fellow Rye House conspirator. He was brought to London and personally interviewed by James, who was said to have reminded him that he had the power to pardon. Ayloffe sullenly retorted "It is in your power but not in your nature to pardon". Gavin Russel, David Law and Thomas Archer (the latter captured seriously wounded after Muirdykes) also suffered the death penalty. Around 23 men had also been executed by Atholl in the Highlands. Cochrane was said to have saved himself by agreeing to support the regime, though a more probable explanation is that his father paid £5000 to ensure he was spared. Several prominent rebels were condemned but avoided execution, including Argyll's nephew Archibald Campbell, who went on to become Bishop of Aberdeen. Campbell of Auchinbreck escaped and went into hiding, though his estates were forfeit. In 1690 he petitioned the parliament stating that after the defeat Royalist Maclean clansmen had burnt Carnasserie Castle, driven off 2000 cattle, hanged Dugald Mactavish the fiar of Dunardry, and "barbarously murdered" his uncle Alexander Campbell of Strondour. Argyll's own former estates were said to have been similarly looted by Atholl's men, although after receiving word of the severe reprisals and summary executions carried out by Atholl the government stripped him of his lieutenancy. Of the rebel rank and file, 177 of Argyll's followers were transported to Jamaica and 100 to New Jersey. Amongst those who suffered most from the effects of the Rising were hundreds of Covenanters who were already held in Government prisons: although they had not taken part in the rebellion, their treatment became substantially worse, and many were also transported. However, the Rising was generally less severely punished than the Monmouth Rebellion, possibly as the authorities recognised that many of Argyll's men had been obliged by their tenures to follow him. Despite the defeat of Argyll's Rising, many of those involved in it would a few years later come to be involved in the Glorious Revolution. ^ 2500 (Willcock) or 2800 (Wodrow) was figure at maximum strength in late May, but depleted by desertions to around 900 by 17 June. ^ Davies, The North Atlantic World in the Seventeenth Century, p.92. This page was last edited on 13 October 2018, at 15:39 (UTC).